Ships today if you order in the next 11 hours 18 minutes. 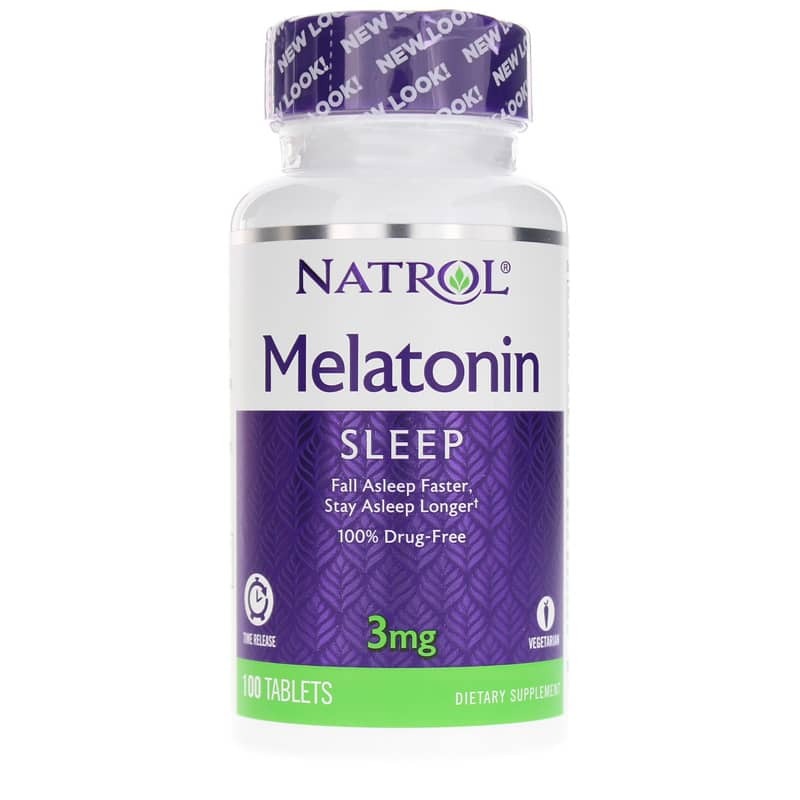 Natrol Melatonin Time Release tablets release melatonin quickly to help you fall asleep fast and then steadily to help you stay asleep all night. 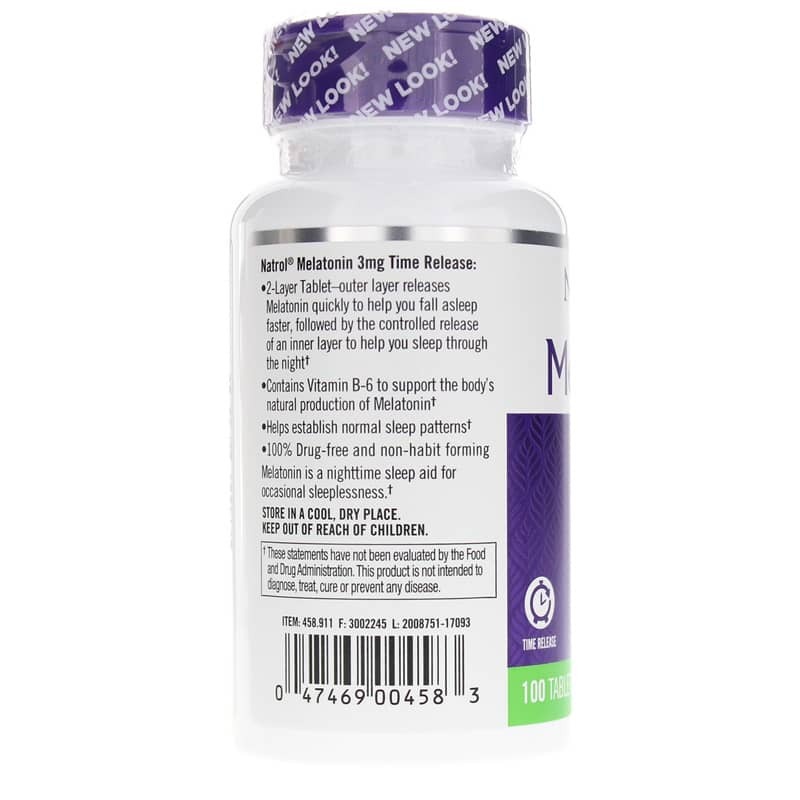 Melatonin helps establish normal sleep patterns to promote a more restful, relaxing sleep. 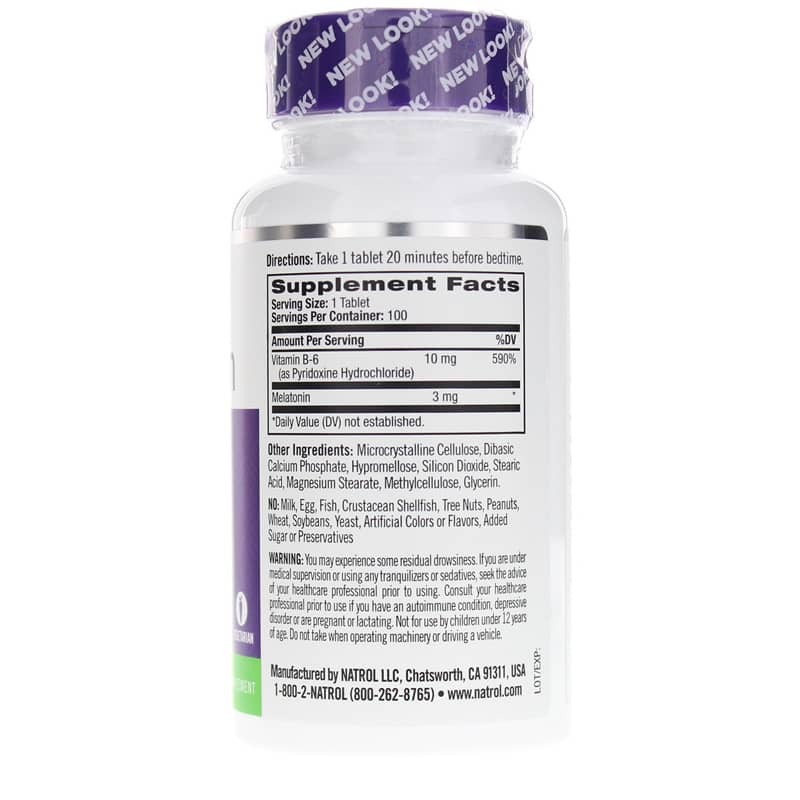 The body naturally produces melatonin and Vitamin B6 is essential for melatonin production. Natrol Melatonin is a vegetarian sleep aid with Vitamin B6 that uses a biphasic system to provide relief for occasional sleeplessness and promote a more relaxing night and better overall health. Simply take one tablet 20 minutes before bedtime. Other Ingredients: microcrystalline cellulose, dibasic calcium phosphate, hypromellose, silicon dioixde, stearic acid, magnesium stearate, methylcellulose, glycerin. Contains NO: milk, egg, fish, crustacean shellfish, tree nuts, peanuts, wheat, soybeans, yeast, artificial colors or flavors, added sugar, starch or preservatives. Vegetarian. Adults: Take 1 tablet 20 minutes before bedtime. You may experience some residual drowsiness. If you are under medical supervision or using any tranquilizers or sedatives, seek the advice of your healthcare professional before using. Consult your physician before using if you have an autoimmune condition or depressive disorder or are pregnant or nursing. Not for use by children under 12 years of age. Do not take when operating machinery or driving a vehicle. Keep out of the reach of children. Natrol is a trusted product and Natural Healthy Concepts is an excellent website to do business with. They have fast service and the free shipping on any order is awesome, especially for us seniors on a fixed income.